RuneFest 2018 kicks off on the 5th October through to the 6th October and it's going to be bigger and better than any RuneFest before! 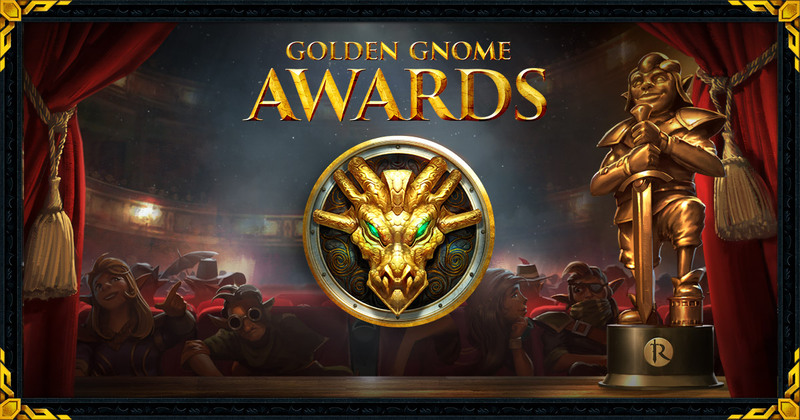 Today, we'd like to announce the shortlisted nominations for the prestigious Golden Gnome Awards. Maikeru RS - Solak Guide - All Phases Covered! [Runescape 3] New Hardest boss? Winners will be announced on the day, including additional awards for the Cosplay (Most Creative Cosplay and Best Cosplay) and Community categories, so make sure you tune into the stream if you're not attending in person this year! If you haven't already, don't forget you can download the RuneFest 2018 iOS or Android App, which will include everything you need to know for the event, featuring things such as; stage and panel schedules, event floor plans (including activity/food/stage locations), merchandise ranges and pricing, social networking and personalised schedules/notifications. We wish the best of luck to everyone nominated and we can't wait to see you all at RuneFest 2018 on the 5th and 6th of October at the Farnborough International Exhibition and Convention Centre, just outside of London! Get your tickets now from our Eventbrite ticket page!